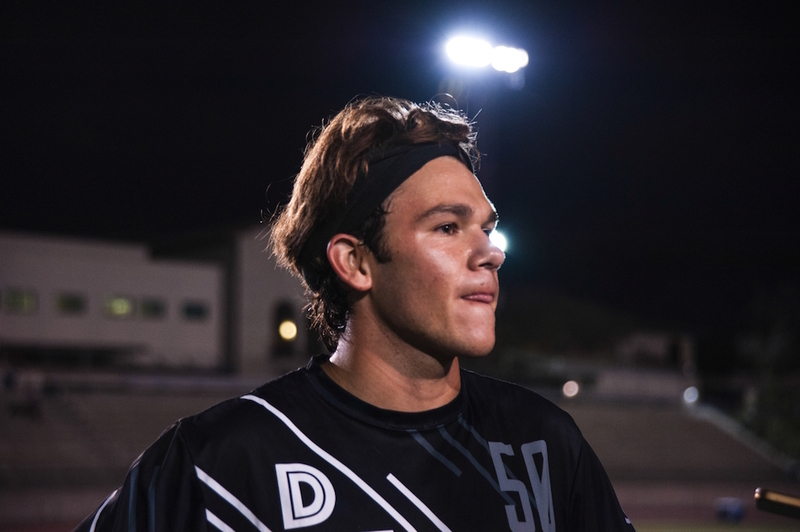 Last May, Occidental’s men’s ultimate frisbee team, also known as Detox, earned a spot at the D-III College Championships after a dramatic upset over Claremont in the D-III Southwest Conference Ultimate Tournament. The victory was huge for the whole team, but its five seniors were forced to choose between going to nationals in Louisville, Ky., or going to graduation, both of which fell on the same weekend. Ultimately, according to team member Drew Andersen (junior), the majority of the seniors found a way to make it work. Three of the five seniors came for the first day of the weekend and were able to compete in two games according to Drew Andersen (junior). Then, immediately after playing all day Saturday, they had to catch a red-eye flight to make it back to Los Angeles by Sunday morning. “People were worried — because there were thunderstorms — that even if they did go and planned on flying back for that Sunday that they wouldn’t make it, but luckily it worked out, and the people who did leave did make graduation on time,” Andersen said. Unfortunately, not every senior was able to make it. David Kimball ’17 elected not to go, for fear of missing graduation. Despite their excitement, Andersen acknowledges that having only one of their five seniors had the potential to affect how they performed in Kentucky. “Maybe the outcome of a few really close games would’ve been different had we had those couple seniors that were pretty integral to our offense,” Andersen said. Going into the new year, the team members who competed last spring are still riding the high of making it to nationals despite finishing second-to-last place. Griffin Morita (senior) recalls the team’s performance in their first appearance at Nationals in the last five years. “Nationals — well, we came in as last place, and we broke seed, which was awesome,” Morita said. Detox entered as the 16th seed and became the 15th seed, meaning they were able to leave Kentucky with a higher ranking within the tournament than they were originally. For Detox, this showed the high level at which they could compete, even without their whole team playing. “When we went in there and we broke seed and came out as not last, we were just stoked,” Morita said. The excitement and motivation from nationals have carried over into the fall. “What was really great about it was — since we had a lot of first years on the team — it really has shot up morale, and people are excited to play now that they’ve seen that we can compete,” Morita said. In addition to the abounding joy displayed by the team members, the sport is seriously considered into some of the members’ decisions. Andersen revealed how he factors his love of frisbee into major life choices. “I’m not even sure if I’m going to be here for the spring because I’m going abroad, but if we end up being really good, I might have to change my decision. But we’ll see, we’ll cross that bridge when we get there,” Andersen said. Part of Andersen’s dilemma has to do with the talent the team has in their senior players this year. He does not want to miss out on his last chance to go to nationals with them again. Despite the loss of five skilled seniors, the team has high hopes about where they are headed. Since their first year, the upperclassmen on the team have seen a continuous growth of students that come to Detox’s fall tryouts; after their nationals success, the number has grown even more. The team is ready and excited to use the momentum built from last spring to propel them into the new school year, and they expect great things from their upcoming season. Regardless of how well they do, they are more than happy to just be out on the field tossing the frisbee.